The Serial Peripheral Interface (SPI) is one of the popular embedded serial communications widely supported by many of today’s chip manufacture and it considered as one of the fastest serial data transfer interface for the embedded system. 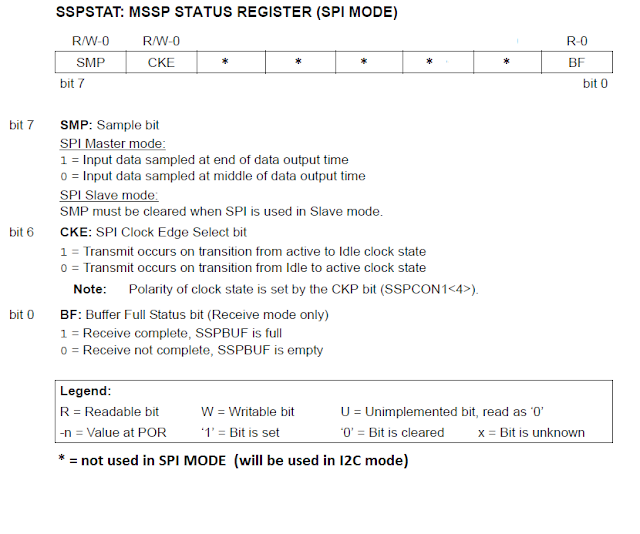 Because of its special in/out register configuration, the SPI master device could transfer its data and at the same time it receive a data from the SPI slave device with the clock speed as high as 10 MHz. Beside its superior data transfer speed; SPI also use a very simple data transfer protocol compared to the other serial data transfer methods. 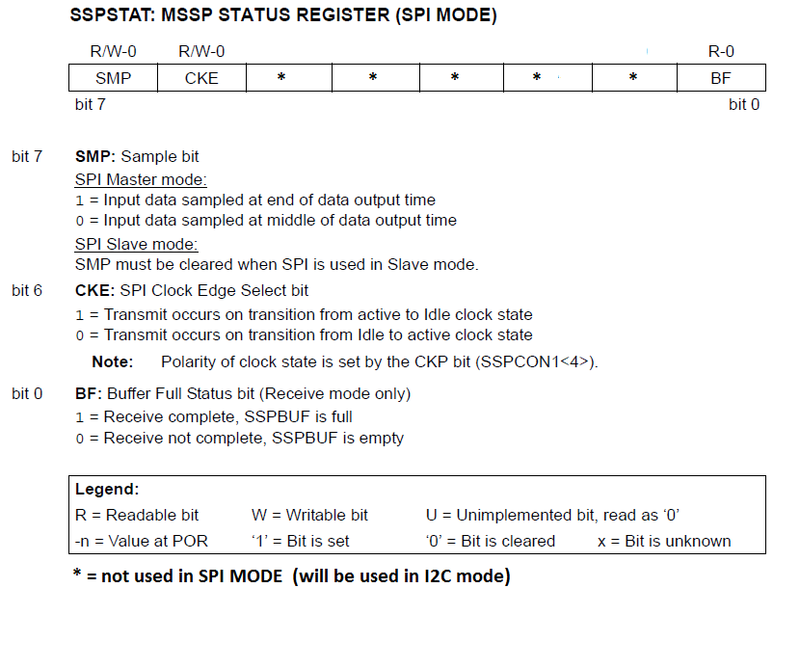 When the SPI master device want to send the data to the SPI slave device then the SPI master will just simply shifting its own data through a special 8-bits register and at the same time the SPI master will receive the data from the SPI slave into the same register as shown on this following picture. 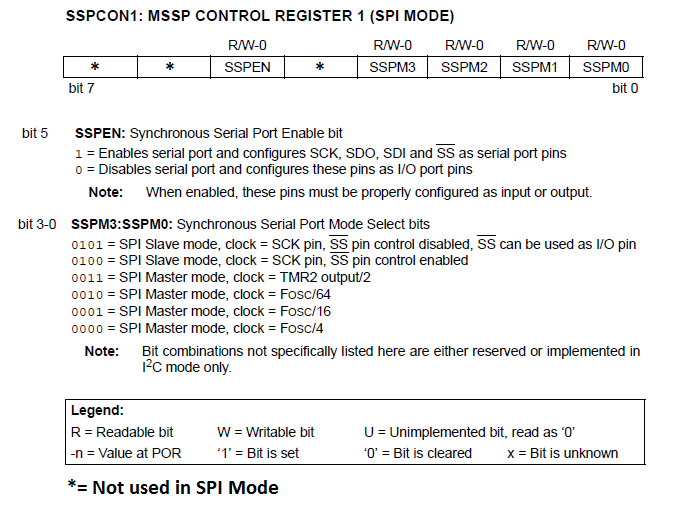 Polling the entire SPI slave devices will eventually consumed the SPI master resources when the SPI slave devices to be polled increase, therefore some of the SPI slave device is equipped with the interrupt pin to notify the SPI master device that it has a data to be read. 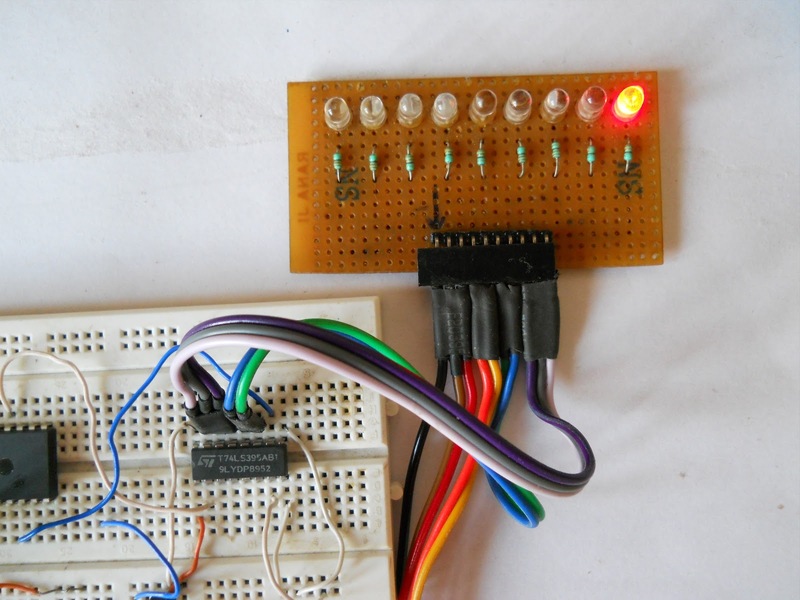 On this tutorial I will use the Microchip PIC18F458 microcontroller, this microcontroller is one of my favorite 8-bit 40-pins PIC18 microcontroller families members as it is equipped with sophisticated advanced peripheral inside such as ADC, USART, ECCP (Enhanced Capture/Compare/PWM), SPI, I2C . With 32K bytes flash ram and equipped with the build in circuit debug, this 8-bit 20-pins microcontroller is a perfect choice for serious embedded application or just for hobbyist’s project. The PIC18F458 microcontroller SPI peripheral support both master and slave mode but on this tutorial we will only exposing the PIC18F458 SPI master mode.we will be using 74LS395 shift register ic To expand the serial bit into parallel configuration. As 74LS395 is only 4 bit shift register so we will be able to see only four Least Significant bits. 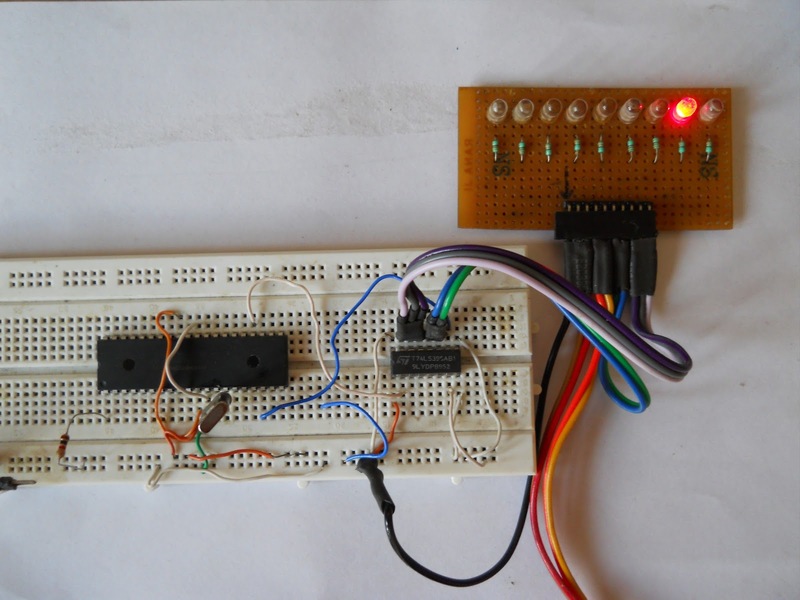 you can use 74LS595 to display all 8 bits if you want to, but for now we will be working with 74LS395 4 bit shift register. 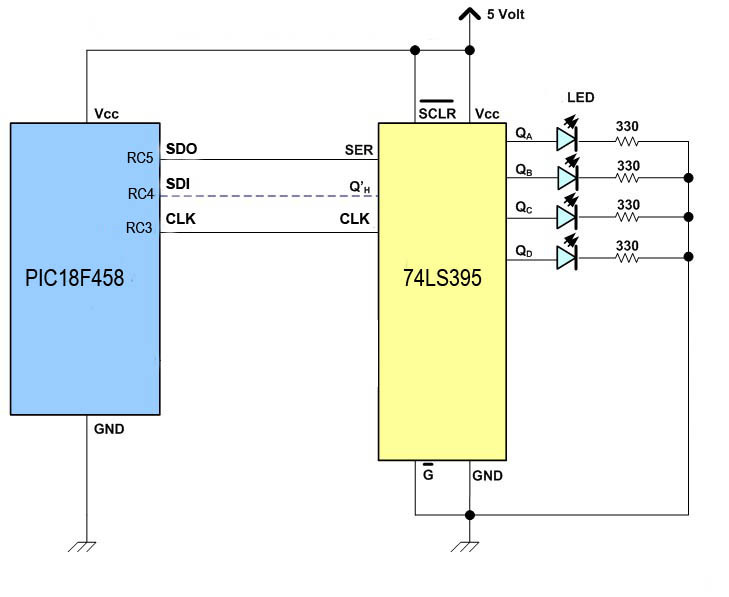 how u make to drive 9 leds,74ls395 have only 4bit output? Thanks for you kind information. I have varified its and it is 100% Working. It would be kind of u if u add spi read section as well. what about in master slave mode and with transmit receive both enabled? HI, can i know how do you use spi to communicate with another board? as I done the code, but my voltage isnt measuring is it possible to help me check my code? could you please send the Proteus file as i tested the code in mikroC but the clock did not initialized and nothing is working!!! datasheet says if it,s bit CKE = 1 means active to idle, but you says idle to active. What am i not undurstanding.